When researching the benefits of using solar panels to produce electricity for your home, you may wonder how the energy generation process works. It’s easy to follow along. When sunlight hits your solar panels, whether they are on your roof or mounted elsewhere on your property, the panels convert that energy to direct current (DC) electricity. Because homes are powered by alternating current (AC) electricity, inverters are needed to make the electrical conversion. The solar energy needed to power your home is then available for use, and excess power produced by your system gets pushed back to the grid for a credit, thanks to a process called net metering. POWERHOME Solar uses SolarEdge inverters as part of solar installations, and the size of inverter that you get is tailored to the amount of power your panels’ generating capacity. 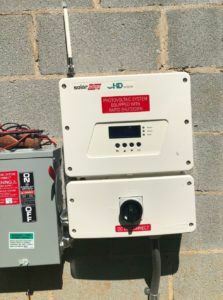 The inverter is installed on the side of your home, where the rest of your utilities equipment resides, and always directs your solar power where it needs to go. 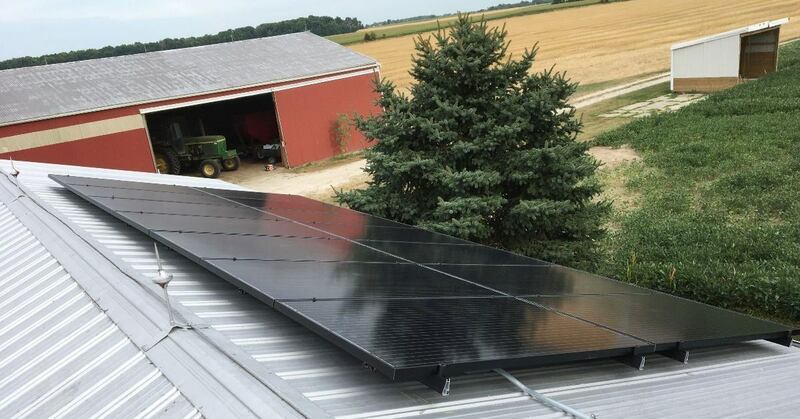 Think of an inverter as the director of your home’s solar system. It calls all the shots based on what your panels can produce. Understanding the process of a solar installation is also easy with the help of POWERHOME Solar, which has been in business since 2015 and is well on pace for its best year in 2018. Our expertise in all phases will make you comfortable with your decision to go solar. You’ll be doing the right thing not only for your pocketbook, but for the environment. POWERHOME Solar uses panels produced by Mission Solar, a Texas-based company whose panels are backed by a 25-year warranty. The panels are designed, engineered and assembled in San Antonio, meaning you are supporting American craftmanship with your purchase. POWERHOME Solar does business in five states (Michigan, North Carolina, Ohio, South Carolina and Virginia) and has plans to add a sixth. If you’re in our coverage area and want to learn more about solar, we’d love to hear from you. Fill out the handy form below or call us today at 800-765-2715 to set up a free in-home consultation to answer all questions and learn if your home qualifies to go solar.